At Tri-State Overhead Sales of Sioux City, IA, we put over 30 years of experience in the commercial garage door business to work for you. We have a knowledgeable sales staff and specially-trained service and installation crew ready to serve contractors and business owners. We’re committed to excellence and will never oversell or install a product that doesn’t fit your requirements or is priced out of your budget. We also understand that you have deadlines to keep. Quality, honesty and affordability are what we’re all about. We’re proud to offer Raynor garage door products to our tri-state area customers. These doors and openers have proven to be durable, dependable, quick to install and easy to maintain. Whatever your commercial door needs, we have a model to suit you. From high thermal values to demanding wind loads and extreme durability, Raynor doors fit the bill. Plus, we have doors available in a variety of colors and styles to complement your building’s unique personality. 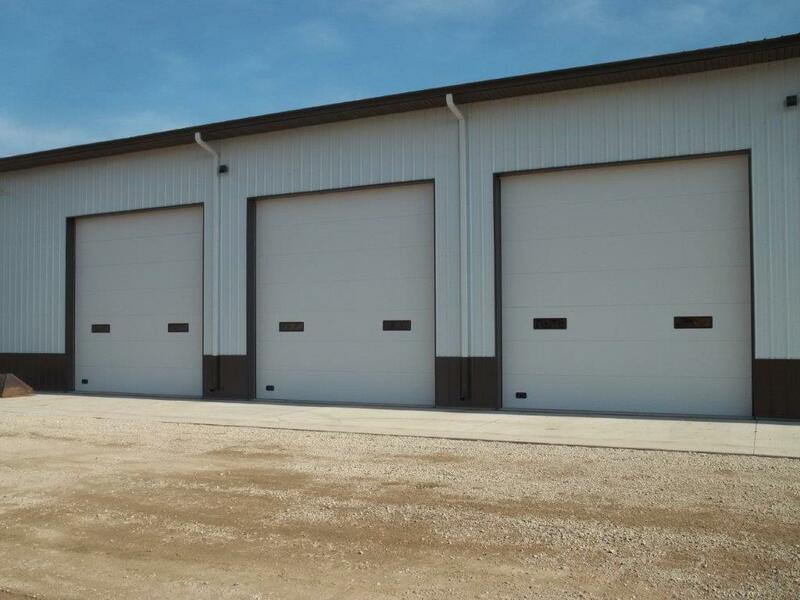 The durable construction of Raynor sectional commercial doors provides the dependable performance you need in your commercial, industrial or agricultural operation. Available with optional insulation and heavy-duty operators, these doors are as hard working as they are energy efficient. Raynor commercial rolling doors are available in a variety of slat profiles, materials, colors and styles for many applications. Rolling doors are a perfect fit when headroom and side room are in short supply. From security grilles and counter shutters in retail settings to loading docks at industrial sites, we’ll help you find the rolling doors you need, and we’ll install and maintain them, too. Special circumstances require special doors. Security chain link doors, screen doors, pass doors, breakaway bottom doors, dock seals and more, we carry and install the specialty doors your Siouxland area business needs to keep day-to-day operations running smoothly. Contact us today for more information. We supply tri-state area businesses with Raynor high-speed doors, which use the industry’s latest sealing technology to provide the ultimate protection from wind, rain and contamination. Depending on size and application, these doors can open at a rate of 8 feet per second, making them the perfect fit where energy efficiency and even temperature is crucial. Contact Tri-State Overhead Sales for more information. We sell, install and service commercial doors. Is your current garage door causing problems? Regardless of your door’s age, make or model, our talented service crew can stop in and take it look at it. It may require a simple, affordable fix that will have you back on track in no time. We also offer regular maintenance checks for your commercial doors, to catch problems before they happen. Contact us for more information or to set up an appointment today!